Assembling one of Ikea's flat-pack puzzles is easy as long as you have the instruction manual. But that usually disappears when you're tossing out all of that shredded cardboard post-build. 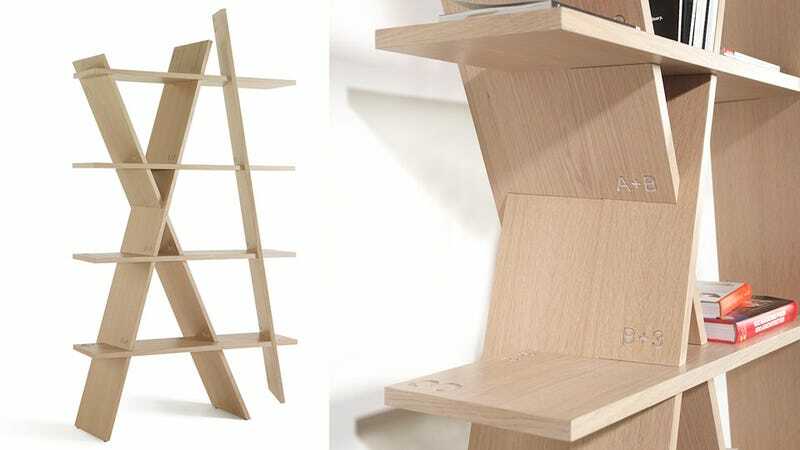 So designer Gonçalo Campos has come up with a better approach for his XI book shelf. First of all, the myriad screws, fasteners, and other tiny losable parts usually associated with furniture assembly have all been eliminated. In their place is a clever design that simply slots together like a wooden puzzle. But thanks to the shelf's X shape and a vertical support, it can hold a mountain of books without precariously wobbling under the weight. The XI shelf also has all of its assembly instructions tastefully carved into the joints, so they never go missing. Which makes this the ideal piece of furniture if you switch apartments more often than you switch your living room set.